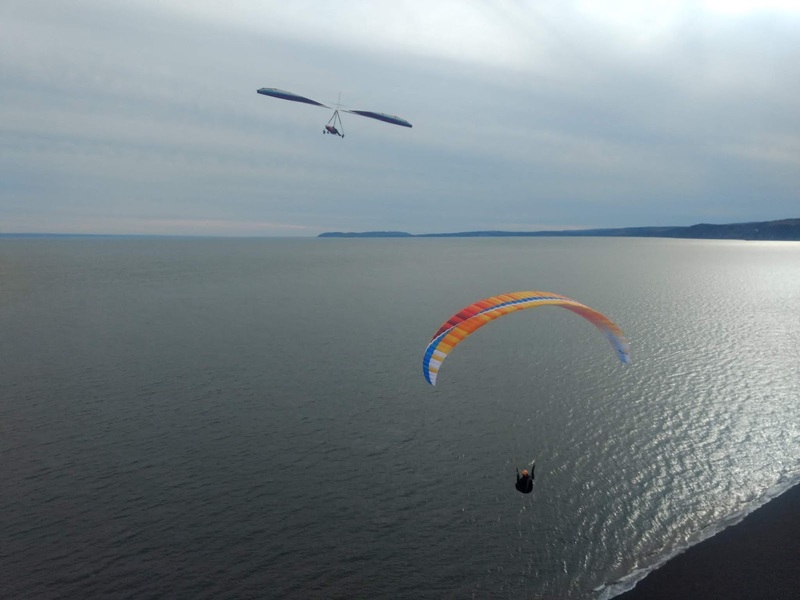 Alex and I just took a trip to the Maritimes to visit my parents plus do some paragliding in Parrsboro and PEI. I grew up there, and learned to paraglide in Parrsboro, so going back is always a treat and it's nice to visit the old flying sites and reconnect with the pilots. 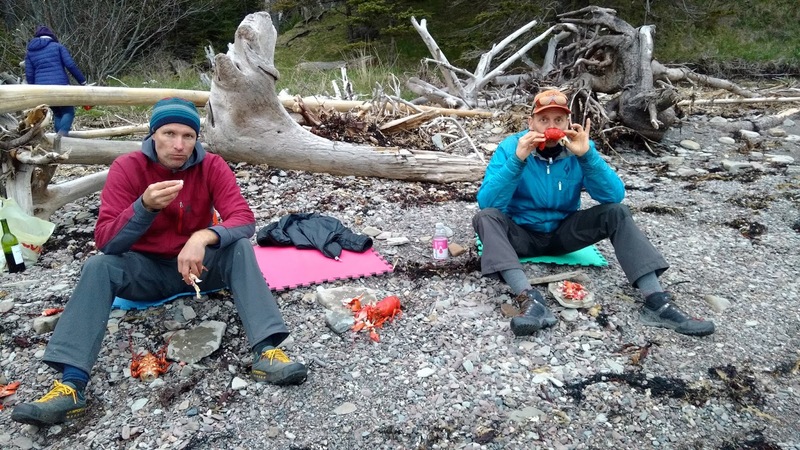 Lobster Boil on the beach! 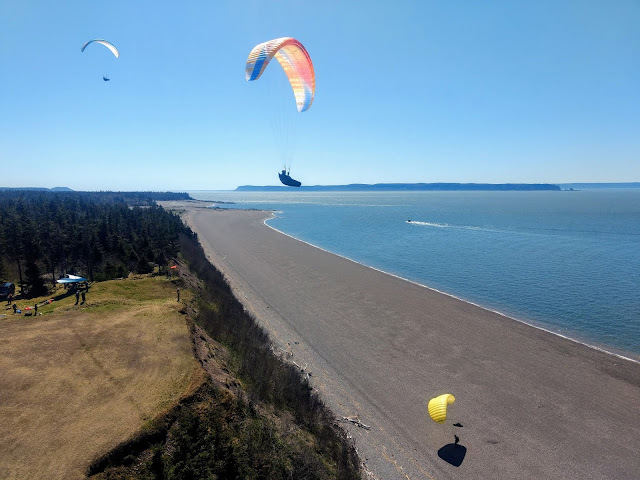 We started off in Parrsboro for the annual Festival of Free Flight, while I was in HPAC meetings for a couple of days Alex and the free-flying pilots were out and about at Hidden Falls, Fox River, and Joggins, depending on the wind direction and tide levels. I was able to join them and we had really nice flying at Fox River for a couple of days in the SW winds. 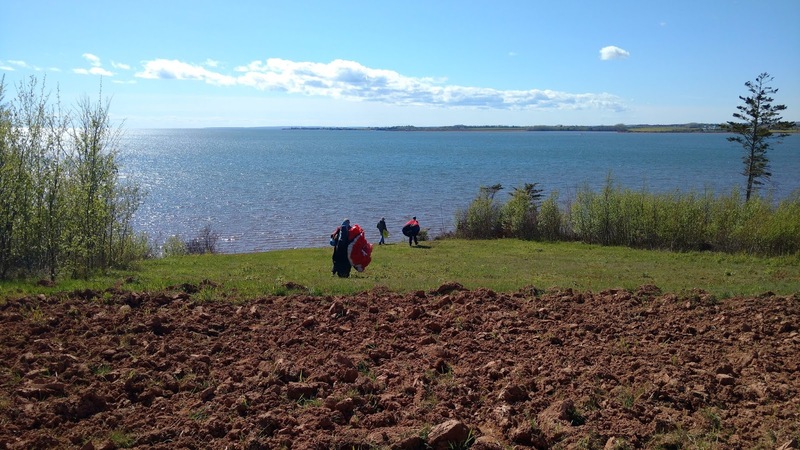 Lots of visiting pilots from Quebec, Ontario, and the rest of the Maritimes so a nice crowd! 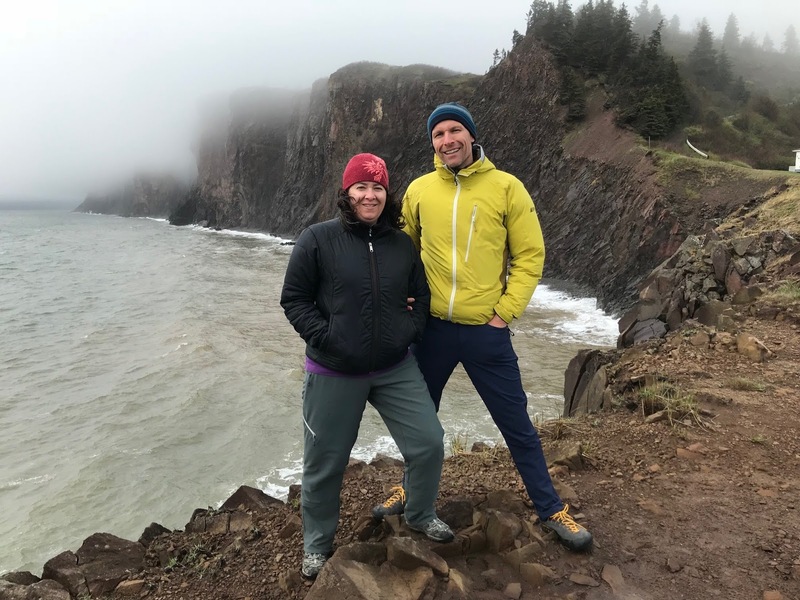 Cape D'Or on a blown-out day. Fox River during the Fly-in. 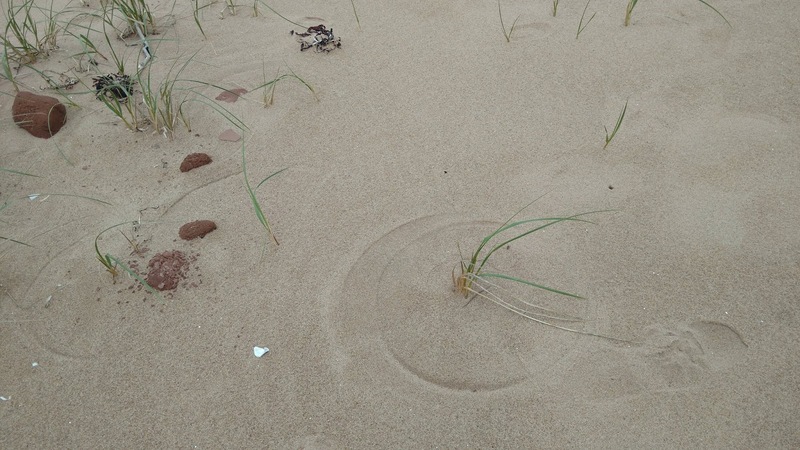 The tide is very low in this shot! 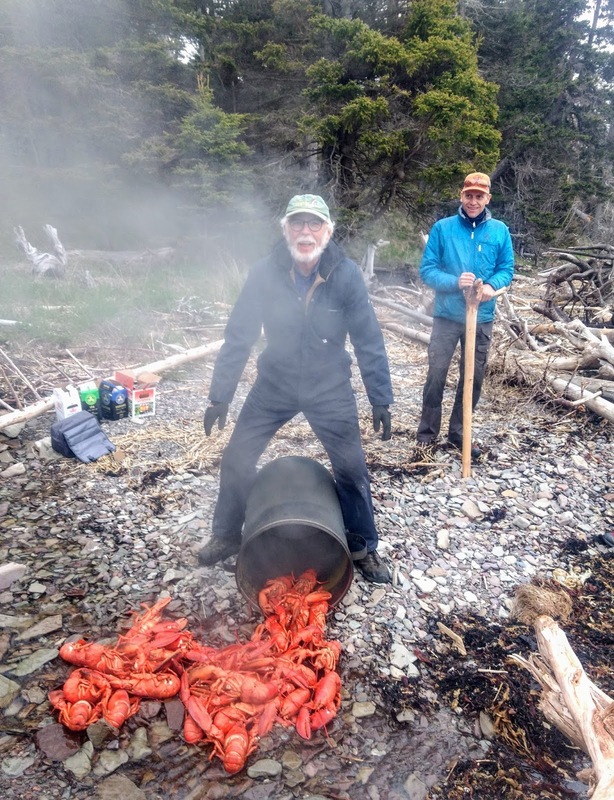 A lobster boil on the beach in front of Michael's house (which is also a flying site) to round off the flying in Parrsboro. Many of the locals said it was the best fly-in they'd had in years with great weather and winds. We also checked out the flying sites near Lawrencetown Beach. Several S and SW sites but the most obvious one is the MacDonald Tea House right next to the kiteboarding and surfing spots. 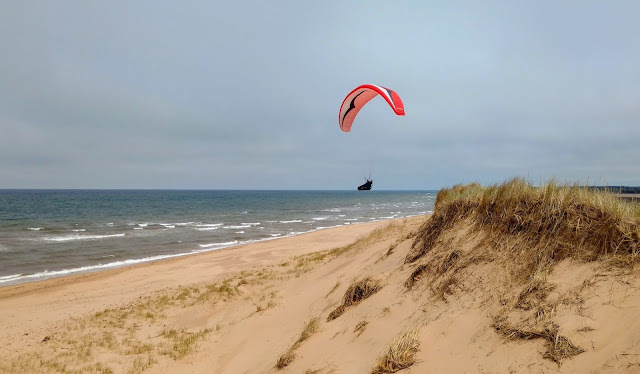 We learned that if the kiteboarders were out, it was probably too windy for us, and vice-versa, and the surfers prefer little or no wind, so it's rare for all 3 groups to be out at the same time. 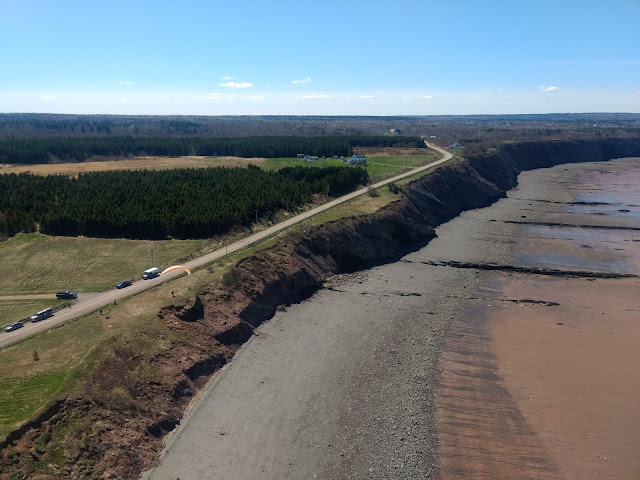 Halliday Bank on the south shore of PEI, takes a north wind. 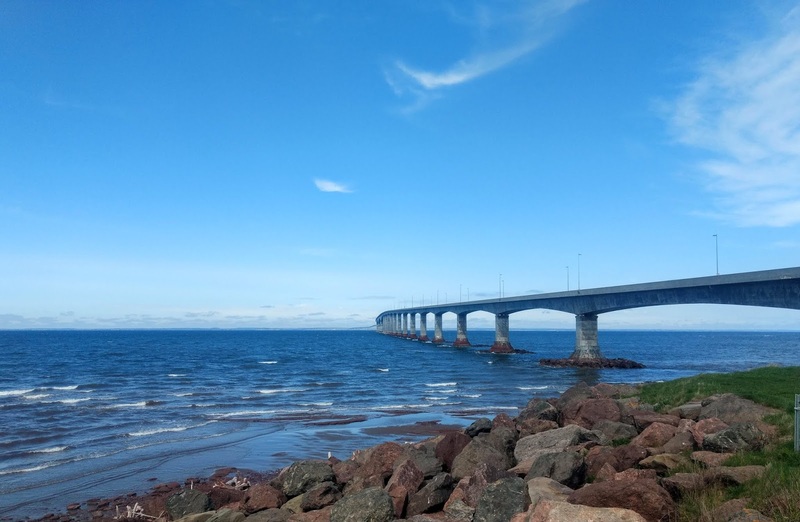 While in Parrsboro we had met some fantastic pilots from PEI who invited us to visit their sites, so we decided to head up for a 3-day mini road trip. We discovered that PEI has pretty much flying sites all over the southern coast, and a significant chunk of the northern coast! Just driving along the southern coast we could see red sand banks all over the place, and it was just a matter of driving out to ones with the proper wind direction and pulling out the glider. We must have found a dozen flying sites, taking a wind direction anywhere from SE to W. The great thing about this side of the Island is that the farmer's fields behind all the sand banks are great places to lay out and top-land at (no trees, just flat ground) and they actually don't plow and seed the last little bit before the actual coastline, so you get a buffer zone of around 100' between the sand banks and the actual field that's perfect for prepping for flying. Thermalling out over Halliday Bank and the golf course. Ross' Ridge, another site on the south shore, takes a west wind. 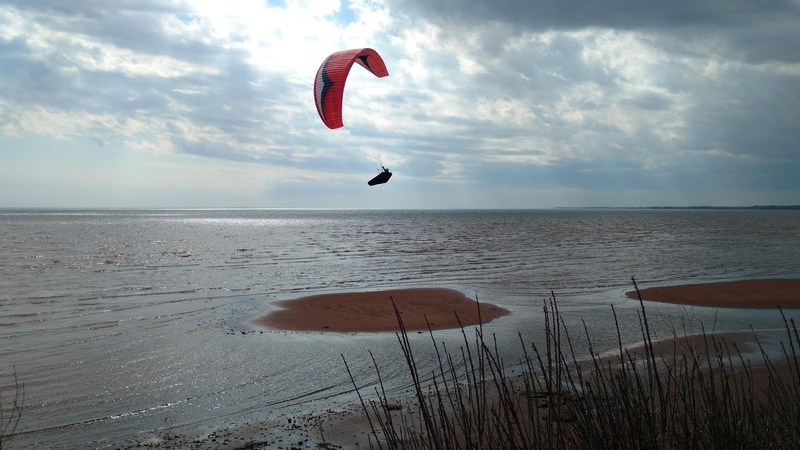 After 2 days of flying on the south shore the wind switched to north, so we headed to the north shore of PEI to fly the sand dunes there. 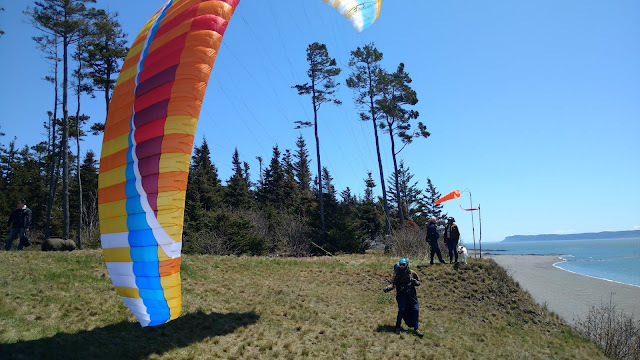 There are fantastic sand dunes at PEI National Park, but since we don't yet have permission from that specific park to fly them, we headed to just outside the park boundaries and found some other dunes (not inside the park) that a local pilot had recommended we check out. Once again another flying sites, this time for NW to NE! The dunes are all shapes and sizes so you can play around depending on the wind strength and direction, and they are gently sloping on the backside so if you get blown back it's not sharp rotor or hard trees to get hung up in, just gentle grass. Hampton Beach on a west wind day. 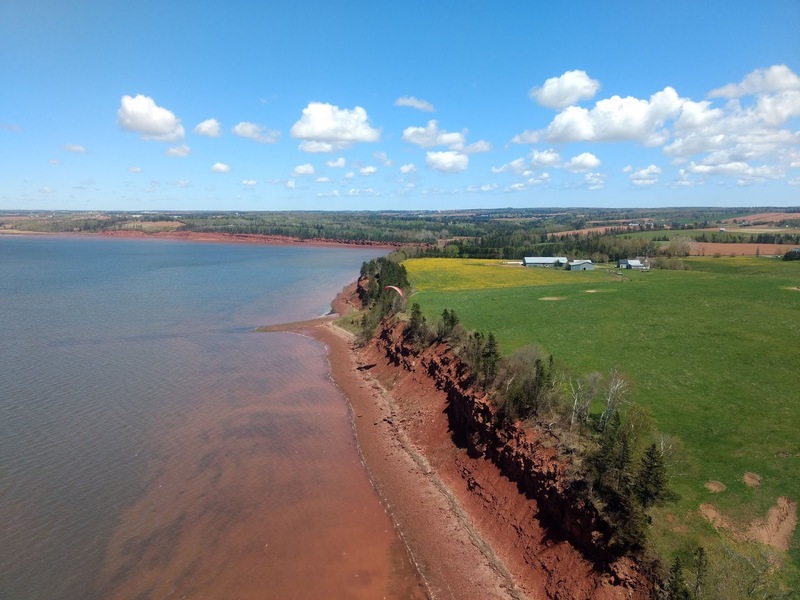 I think PEI has fantastic potential for visiting pilots. 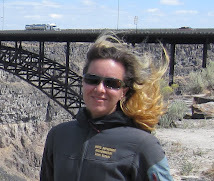 There is pretty much a site for every wind direction and so long as you have a car, you can access pretty much all of them. 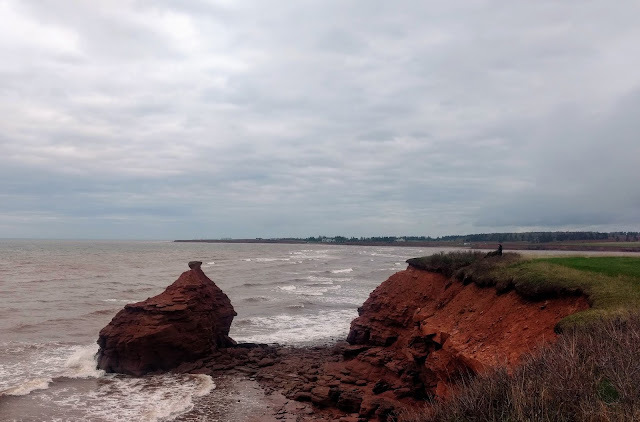 PEI is so small that driving times are tiny compared to most of the rest of Canada (you can cross from the south side of PEI to the north side in around 1 hour), so if the wind changes, you can jump in the car and hit up another site easily. 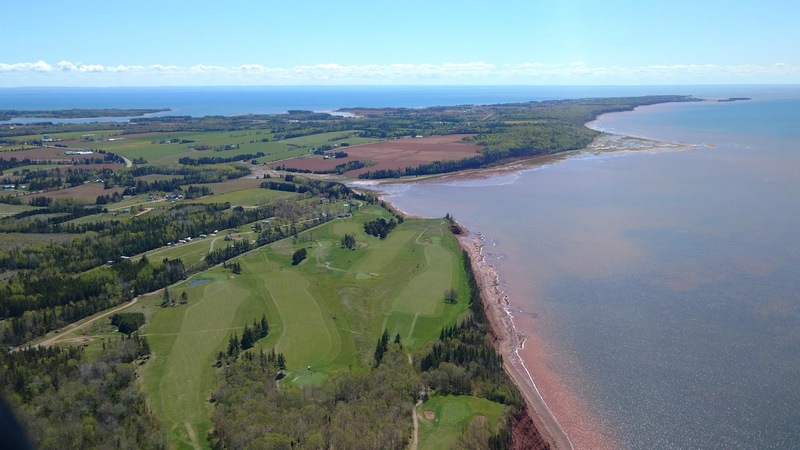 And the meteorology of the place is pretty easy to understand as well...as one of the local PG pilots put it, there is no micrometerology on PEI. It's so small and so flat, that the wind at one end of the Island is likely to be similar all over the rest of the Island, so with the airport readings, the marine forecast, and iwindsurf.com observations, you can read what's going on and choose the right site. 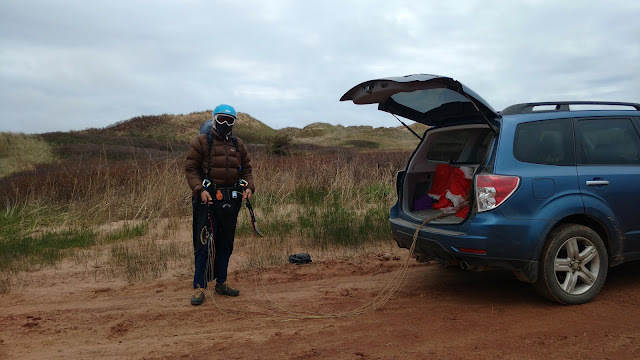 Sand dune action on the north shore of PEI!